My time in the South Island of New Zealand has been slightly manic, with the highs and lows very much like the landscape here. On Saturday, I left Whitianga via bus to Auckland and flight to Christchurch. When I arrived in Christchurch Rae McDonald was at the airport waiting for me. I haven’t seen her since I was about 12, and it was a great reunion. She took me home and showed me around before I headed off for another bed of my own in a room of my own with more comforts then I probably deserve. The next morning Rae, Helen and I took a great walk around a huge park with paths starting right at their front door. Christchurch is known as the Garden City, and I got a good glimpse into why that is. We went into town and visited the Cathedral, the Art Museum’s market and had lunch along the river. It was beautiful! I caught a ride to work with Rae in the morning and she showed me where a lot of the damage from the September earthquake had been. 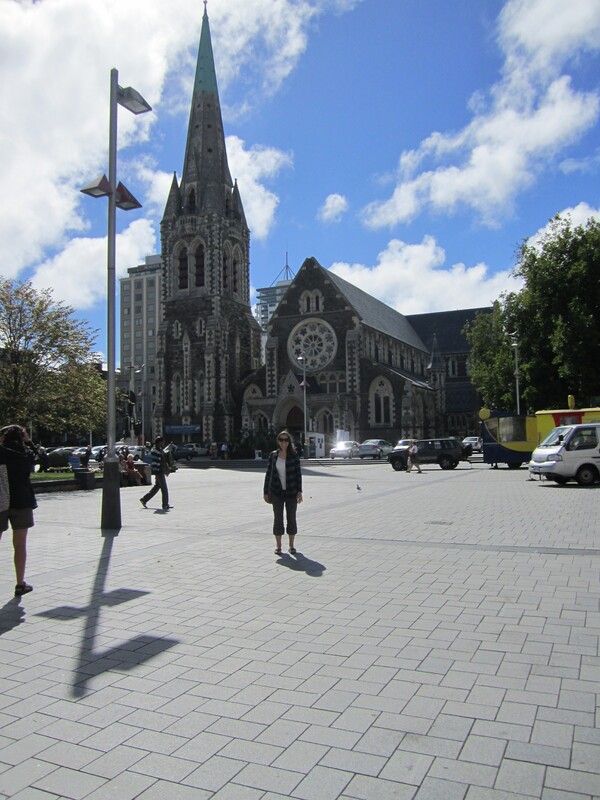 I then got on a bus just a block from the Cathedral and headed off to Queenstown. My first evening in Queenstown I met a girl from the USA in the lounge of my new hostel and we went out for pizza and wine and had a great time! The next morning I made plans for a bungy jump, but not just any bungy…the location of the first ever bungy, Kawarau Bridge. I hopped on the noon shuttle and was dropped off at 12:20pm on Tuesday. I went straight to the bridge and got in line for my bungy. I was nervous, to say the least. The drop is only 43m, which means that you can see in close detail all of the rocks, trees, river and such that you are jumping towards. I waited for about 20 minutes before getting onto the platform and getting harnessed up. Once my feet were all laced up and hooked to the cord, I wobbled to the front of the platform (its hard to walk when your feet are tied together and when you feel like you are about to pee your pants), looked out over the amazing valley, and 3,2,1 JUMP! I screamed about halfway, then started laughing from the rush of the jump. After I got unhooked, I had about an hour to wander around until the shuttle picked us up at 2pm. That means that I was jumping at approximately 12:45-12:50 ish…the same time as Christchurch was devastated by a 6.3 earthquake that flattened so many already weakened buildings and took so many lives. Of course, at this point, I had no idea about that. I was flying high off the adrenaline of my jump. However, when I got off the shuttle back to Queenstown, I found crowds of people standing outside of the pubs and restaurants watching tv silently. I joined them, speechless and shocked at what I was seeing. The Cathedral that I had just been at the morning before was destroyed. The images were hard to comprehend. Then, the lamps on the ceiling starting rocking and I watched as the ground began to wave. 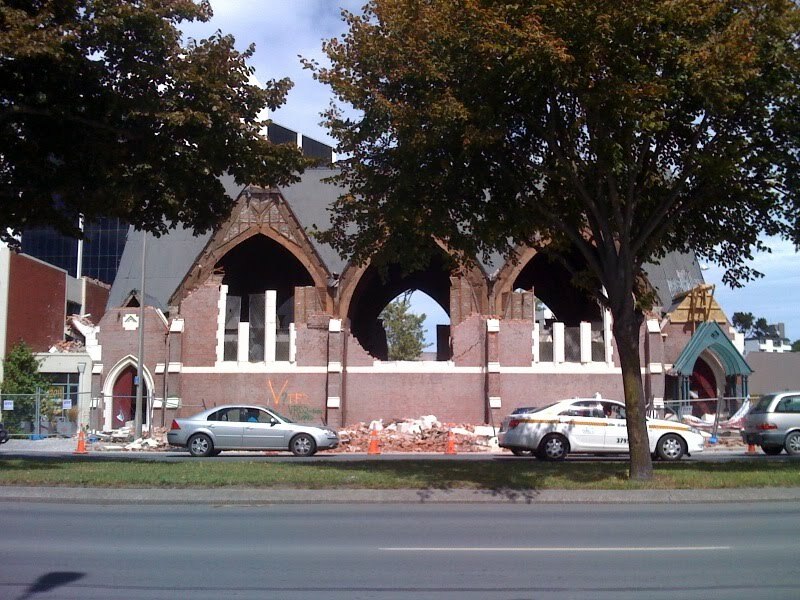 It was one of the Christchurch aftershocks that I was feeling so far away in Queenstown. That night was spent trying to get all of our minds off of what had happened. 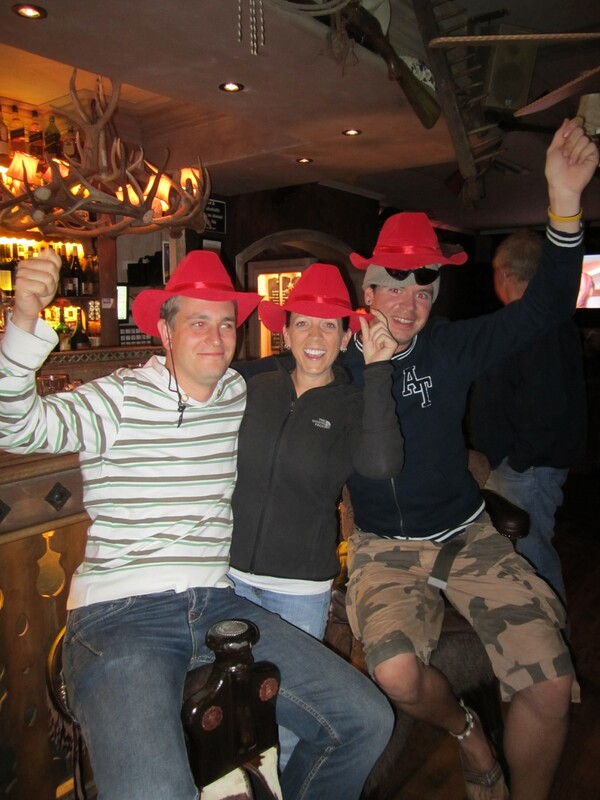 This involved a big dinner, and pool, shuffleboard and a mechanical bull at a bar called Cowboys; and very little discussion of the earthquake. The next few days were spent trying to get in touch with my friends in Christchurch, getting as many news updates as possible, and adjusting my plans as I was meant to head back to the city on Saturday morning. On Wednesday morning, I got on my Kiwi Experience bus to explore the bottom of the South Island along with 5 other people and headed to Dunedin. 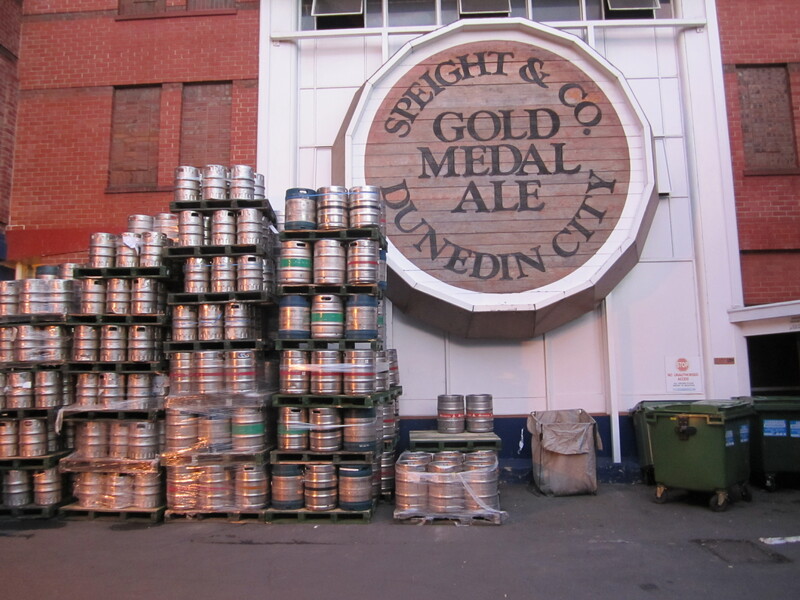 We had a great time stopping to see a bunch of things along the way, walking up the world’s steepest street, visiting the Speight’s Brewery and roaming around Dunedin. The next day, we were off to Invercargill, via the Catlins. We stopped and hiked out to a waterfall that was really pretty, then went to the southern tip and watched the dolphins (2 of the group swam out to see them, but the water was 13c and the air was about 8c, so I stayed warm on shore). We also wandered through the petrified forest and saw a yellow eyed penguin. Invercargill closes up pretty much everything by 10pm, so we had a quite night before loading the bus at 7:15am to head out to Milford Sound. 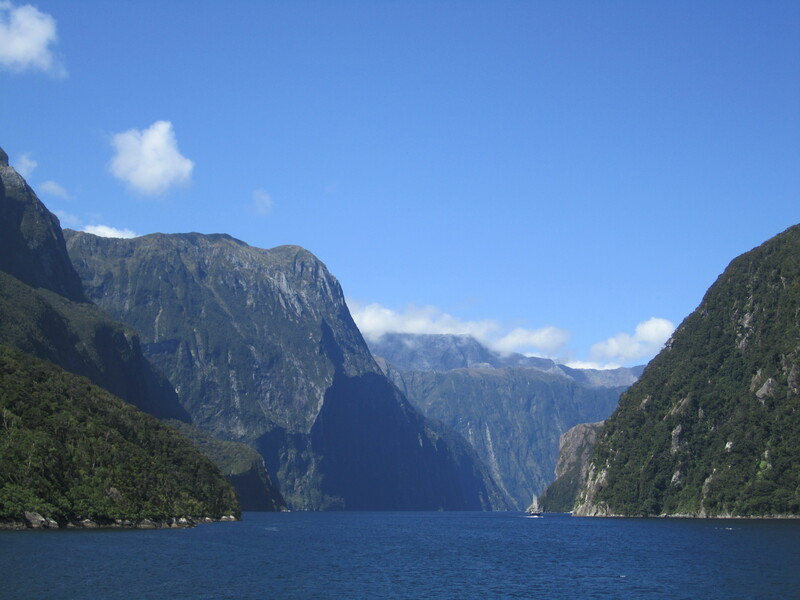 The drive from Invercargill to Milford Sound was incredible! This is the most dramatic landscape I have ever seen. We stopped at Mirror Lake before heading to Milford. Once in Milford, we loaded onto a boat to cruise around the Sound (which is actually a fjord, not a sound). There was an all you can eat lunch for 30 minutes, which means that backpackers feasted as fast as we could, and as many times as we could as eating in Queenstown is not cheap. Once we were packed full of really good food, we went up to the top of the boat and were totally blown away with what we saw. 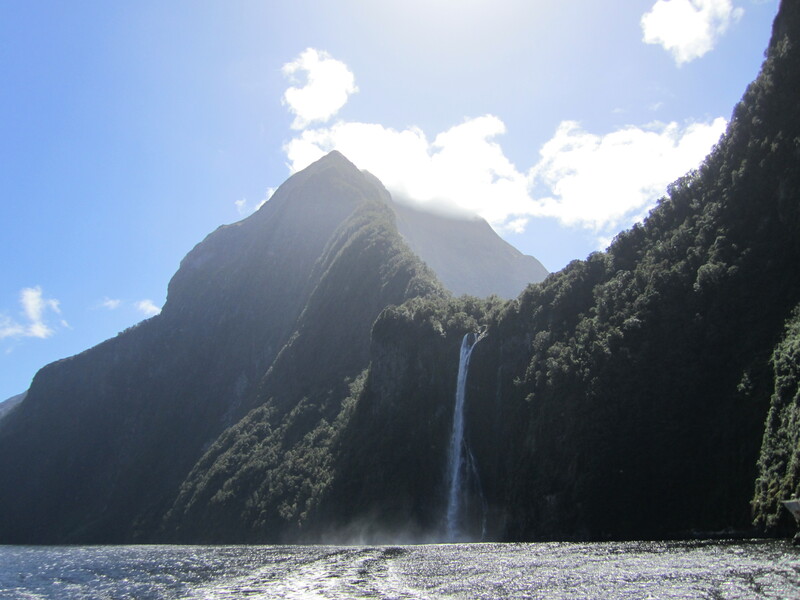 Waterfalls, dramatic cliffs, towering mountains, sparkling water…it was more than I could have expected. The cruise dropped us off at an underwater observatory for about a half hour before picking us back up and taking us back to Milford. We loaded the bus and started back through the most beautiful drive ever before turning off and heading to Queenstown. Once back in Queenstown, We took a hike up to the top of the gondola hill, sorted out the plans for how to get to my Sydney flight and lazed around for a while. 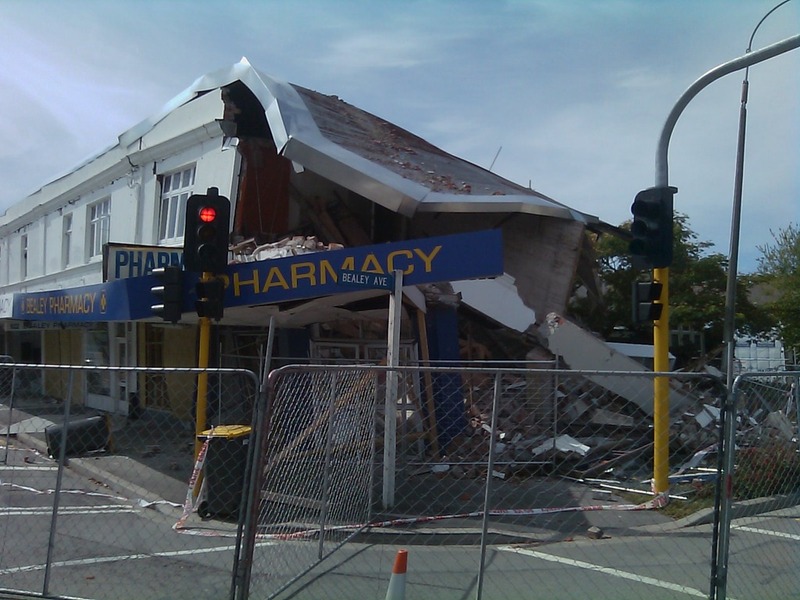 I took the 8am monday bus from Queenstown to Christchurch, getting dropped off beside the ruins of a pharmacy, across from the ruins of a church. Rae and Helen were there waiting for me and took me home for another fantastic dinner. We headed to bed at 10:30 after chatting about my emergency exit plans from my room. 15 minutes later, another aftershock. It was just little, but it drove home the fact that the residents of the city are getting constant reminders of what has happened. As my flight was at 7am, we headed to the airport at about 4:30 (a time I usually only see if it has been a very late night). My 2 weeks in New Zealand seemed to fly by. I had a fantastic time and am so grateful for the overwhelming hospitality I have been shown everywhere I have gone. Now I am off to Australia to spend two weeks with Jennifer and her family! SWEET AS BRO! I really appreciate your blog – sounds like you are having a great trip and reliving some great remebrances of your childhood. 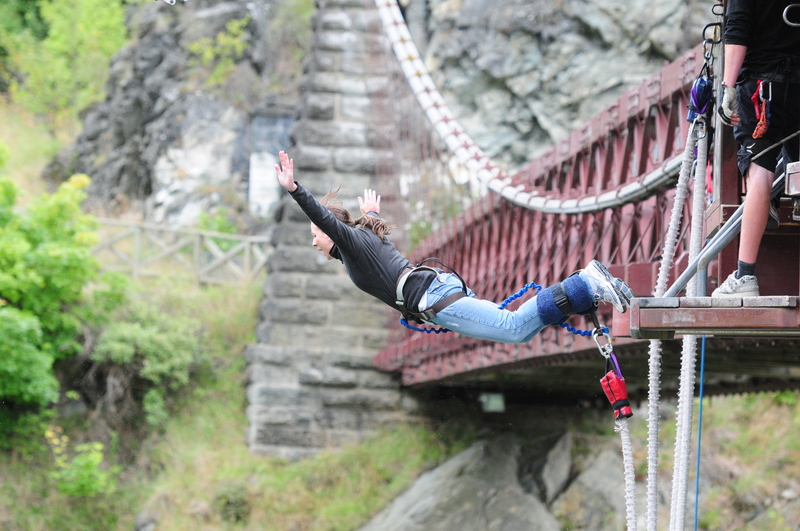 I never thought I would say this but I am SO glad you decided to go bungee jumping…can’t imagine how it must have felt going back to Christchurch after the quake…you keep those horseshoes up your *SS OK! stay safe and thinking of you. Have fun with Jen!!!! That jump picture is insane! I love it! I love the bungee shot! I can totally hear you screaming like a little girl, then laughing like a crazed maniac when I look at it!!! WOW,,, that’s all i can say…love you stay safe and keep the stories and pictues coming.